Our residential air conditioning division is the envy of our competitors however in truth there really is no "secret sauce", we simply do what we say will do, when we promise, with respect for your family and your home. In addition we clear up any mess we make during the air conditioning installation or air conditioning repair job. Whether your home is a cosy 1 bedroom apartment or a cavernous mansion overlooking the ocean we have the ideal air conditioning system for you. Our employees are trained to always carry our their work in a professional manner, to provide the absolute best customer service and to be an inconspicuous as possible. 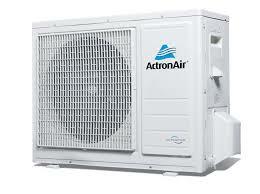 We provide maintenance and repair of all leading brands such as Daikin, Fujitsu, Mitsubishi, Samsung and Actron Air. Call us today to arrange a free quote for your residential air conditioning repair or for details on your air conditioning installation cost .